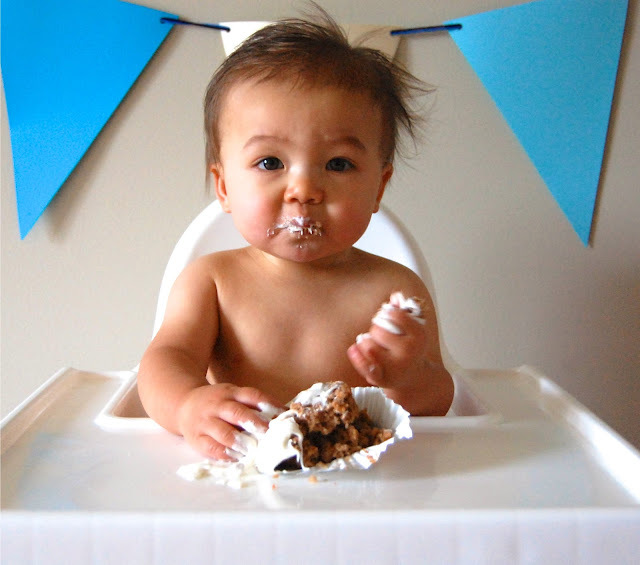 he liked the carrot cake (and so did the cat). 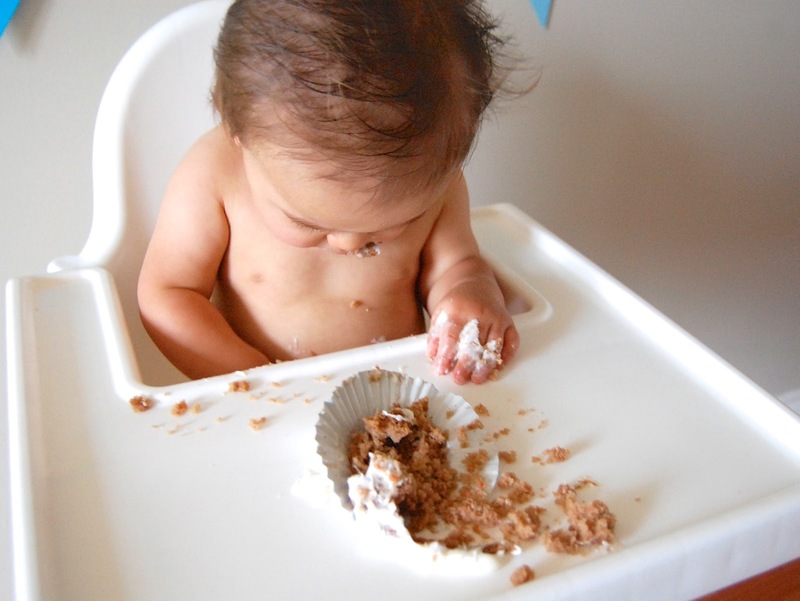 it was a relatively moderate clean up for 1 cupcake! 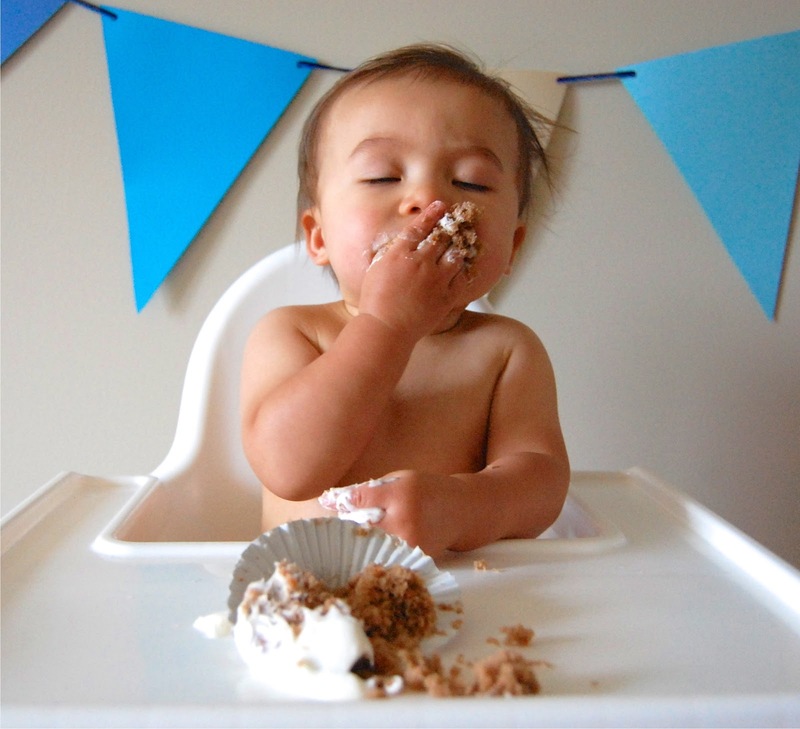 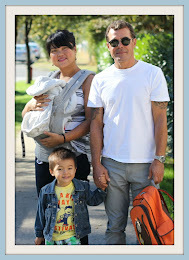 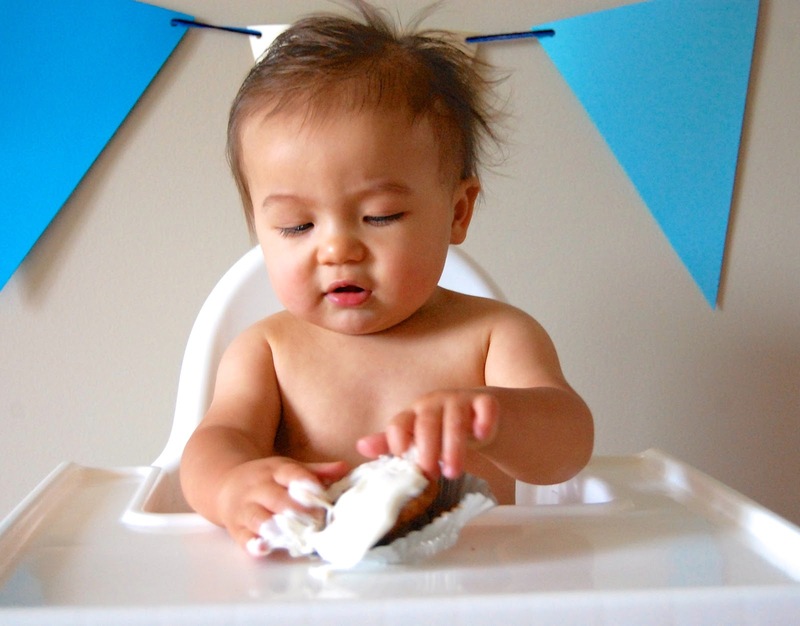 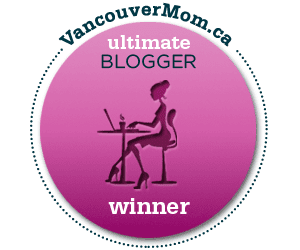 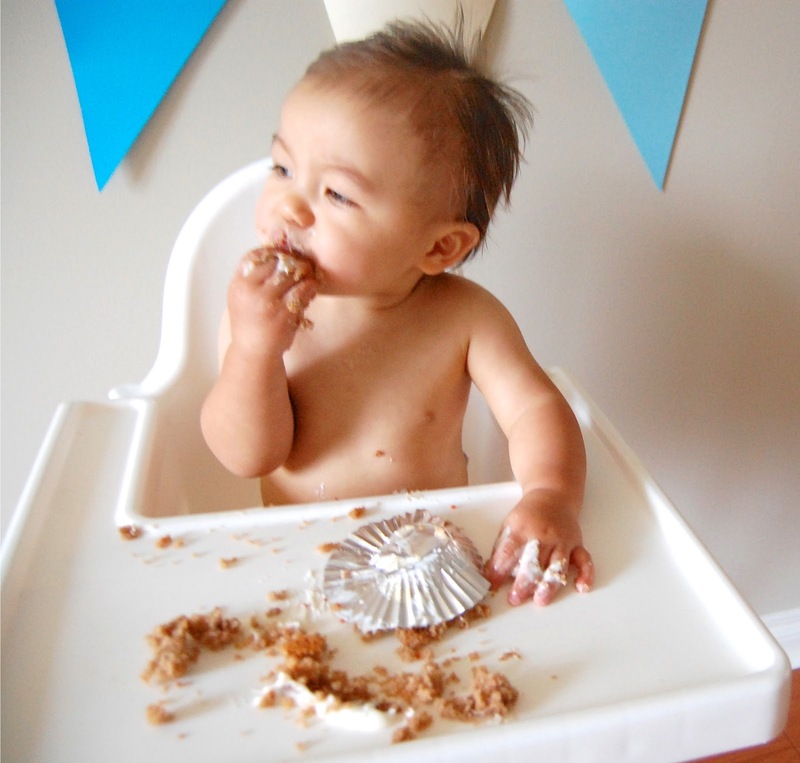 kudos to the baby led weaning moms who clean up the disaster after their babies eat 3x a day!